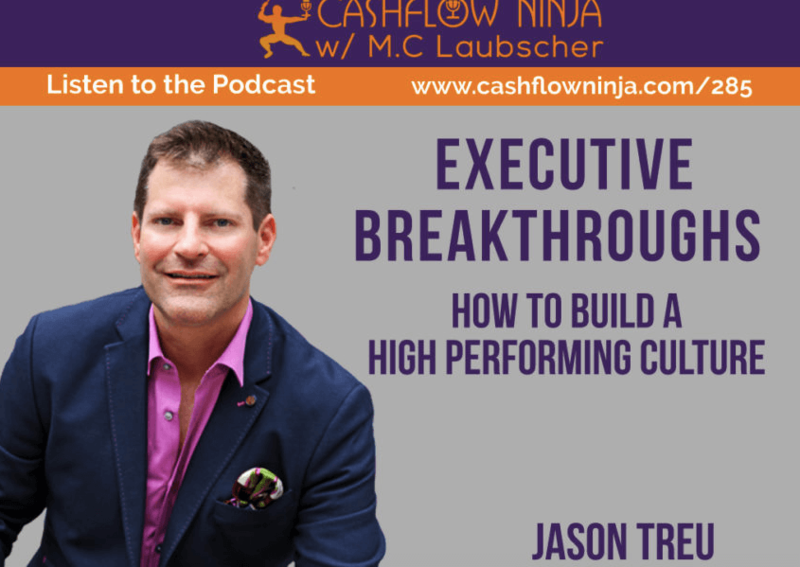 I share on the cash flow ninja podcast how to build a high performing culture in any size company. It’s essentially free and much easier than you think. I give you the exact recipe for you to build it quickly. I’ve built it off of three years of research, listening/observing hundreds of the highest performing teams, interviewing hundreds of people and researching dozens of the Fortune and Forbes Top Workplaces in 2017/2018. My guest in this episode is Jason Treu. Jason is an executive coach who works with corporate executives, rising stars and entrepreneurs to help them maximize their leadership potential, performance and build and execute their career blueprint (which can including starting their own business). He’s the best-selling author of Social Wealth, a how-to-guide on building extraordinary business relationships. 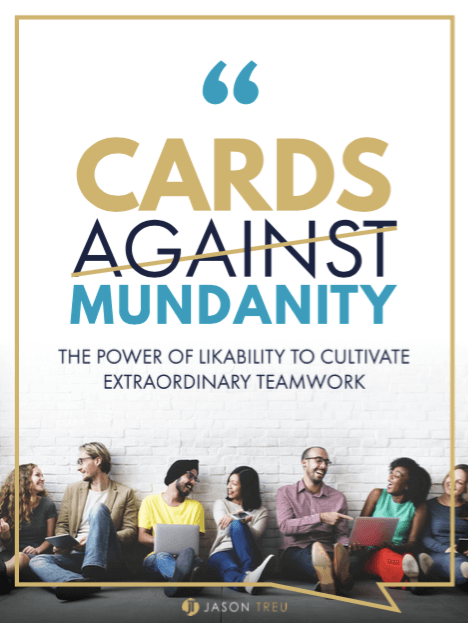 He was a featured speaker at TEDxWilmington 2017, where he debuted his breakthrough team building game Cards Against Mundanity. That will help improve team performance, communication and collaboration in as little as 45 minutes. Finally, he is the host of the Executive Breakthroughs podcast which brings game-changing CEOs, entrepreneurs, and experts that share their breakthroughs and breakdowns.